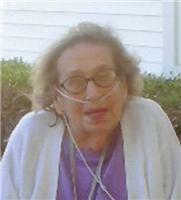 Services for Alma F. (Sand) Alcorns, 82, of Wickliffe, will be at 10 a.m. on Wednesday, January 14, 2015, at Davis-Babcock Funeral Home, Willoughby. Mrs. Alcorns passed away Thursday, January 8, 2015, after a long illness, surrounded by her family. She was born July 15, 1932, in Cincinnati. She has lived in Wickliffe for the past 42 years.She was co-founder and member of the Lake Erie Dart Association and enjoyed playing BINGO. Survivors are her daughter, Mary (Charles) Durst of Wickliffe; grandchildren, Erin (Cavan) Vannice, Kristine Cooper, Megan Jobe and Charles (Michelle) Durst; great-grandchildren, Catlin, Megan, Alex, Audrey, Martin, Stella, Ireland, Charlie, Kylie, Madison and Chase. She was preceded in death by her husband, Leonard G. Alcorns; on October 10, 1992. Her parents, Oscar and Martha (Reicken) Sand; siblings, Katherine Cope, Mary Jane Sand and Louis Sand. The family will receive friends from 1 to 3 and 6 to 8 p.m. on Tuesday, January 13, 2015, at the funeral home. Final resting place will be in Western Reserve Memorial Gardens, Chester Township.